Are you ready to GO!? Do you love to color coordinate your weeks with stickers and plan with a more cohesive look? 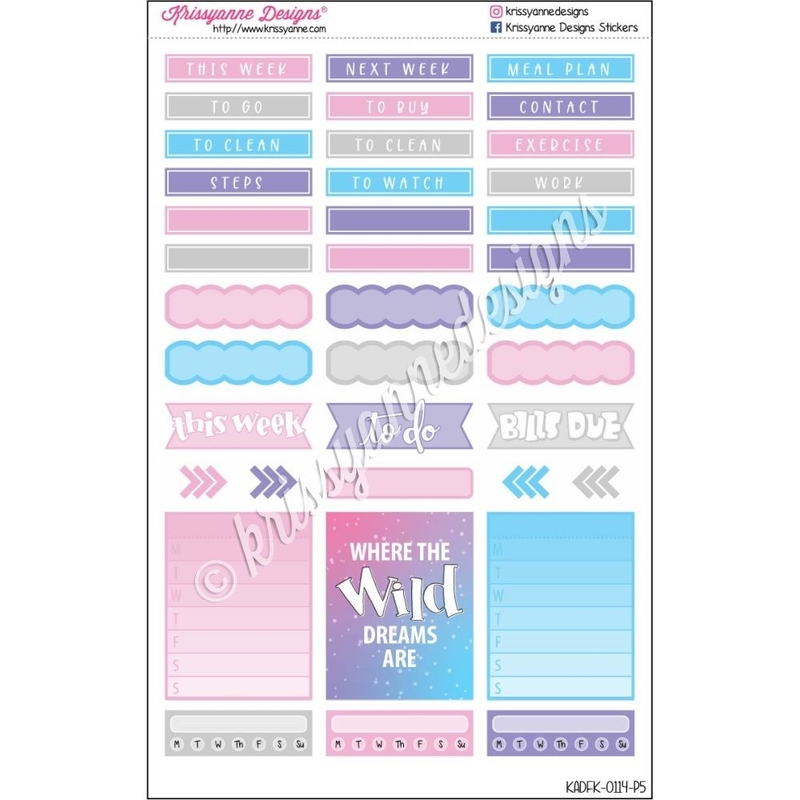 This Functional Supplement portion of the Wild Dreams Weekly Kit is the perfect way to add some cheer to your planner while getting to choose which stickers you'd like. With this set, you will receive several supplemental stickers to help add function and flair to your week, including headers, habit trackers, a photo frame box and more. Stickers in this set fit wonderfully in a wide range of planners including ones by Erin Condren, InkWELL Press, Limelife, Sew Much Crafting and more. Please view images to see more details about what is included in this set.